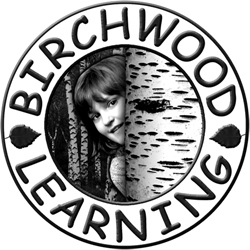 Birchwood Learning is an independent provider of Nature based training. Training courses include; Forest School, natural play, creativity, bushcraft and outdoor learning. Birchwood Learning works with teachers, environmental educationalists, local authorities, rangers, ecologists, artists, parents and children of all ages. Reconnect people of all ages and backgrounds to their natural heritage. Everyone has a right to feel they are connected with nature. Support people to rediscover the wonder of nature and what it is to be human. Empower people of all ages and backgrounds to develop skills, knowledge and understanding of the natural world. Encourage lifestyle choices that will reduce our impact on the environment and the world in which we live. Birchwood Learning is the business name Louise Ambrose trades under. Louise works in partnership with other specialists and organisations to provide unique professional services. Louise has over 10 years experience in providing outdoor learning experiences. Originally training as an ecologist she is a licensed tutor of the Forest School Training Company. She has coordinated the Forest School initiative for Norfolk County Council since 2007 and been a founding member of the Norfolk FEI (Forest Education Initiative) Cluster Group. As well as Forest School she has also worked in the fields of Environmental Education, Field Studies, Earth Education, school grounds advice and support, and is a qualified teacher. Louise has completed a Certificate in Bushcraft Leadership (NCFE Level 3) one of the only formal qualifications in Bushcraft currently available in the UK, provided by Woodcraft School. She is also undertaking a year long course in Herbcraft. Birchwood Learning has been trading since 2008 and is based in North Norfolk, UK.